Tightrope Books, Inc., 9781926639802, 80pp. From Tanzania to Portugal, from India to Iraq, The Kingdom and After charts the 21st-century imaginative echo of empire and displacement in our current moment of terror and globalization. Sometimes written in frank, shrunken lines and other times exploding with surrealist, jurassic imagery, the poems witness an associative mind leaping from bone temples in Tanga to the pumiced surface of extraterrestrial oceans, from a panic attack in Mumbai to the tumbling spirits of the Big Sur coastline. These poems articulate a complex portrait of female sexuality and personhood. Not only excavating the legacy of empire with philosophical rigor, the speaker also dwells in humiliation and wonder, accusation and regret, while trying to envision what indeed remains after the era of kingdoms and kinghood. 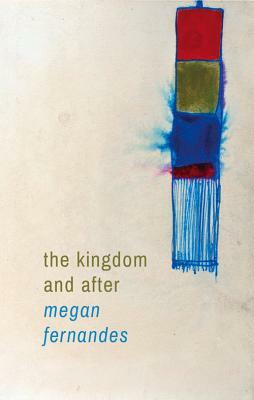 Megan Fernandes is a Canadian-American poet and academic. She is the poetry editor of Strangers in Paris and the author of the poetry chapbooks Organ Speech and Some Citrus Makes Me Blue. Her work has been published in Boston Review, Guernica, Memorious, Rattle, Black Lawrence Press, Cosmonauts Avenue, Redivider, Upstairs at Duroc, and the California Journal of Poetics. She earned her PhD in English from the University of California–Santa Barbara and her MFA in poetry from Boston University. She is a visiting assistant professor of English at Concordia University in Montreal.